Three months ago, the Food and Drug Administration began investigating how to reduce e-cigarette popularity among teens. Their initial efforts consisted of gathering information from e-cigarette producers and providing educational materials to teens on the health risks associated with vaping (which e-cigarette companies were already doing). The FDA did not hesitate to exercise these options. Two weeks after issuing voluntary information requests to five e-cigarette companies, the FDA sent information request letters to twenty-one other e-cigarette companies which implied they were “considering enforcement action.” The FDA also demanded several e-cigarette companies provide it “with robust plans on how they’ll convincingly address the widespread use of their products by minors” within sixty days. Well before the sixty days were up, the FDA raided e-cigarette industry leader Juul’s headquarters and seized over 1,000 pages of documents (at the time, Juul had already provided the FDA with over 50,000 pages of documents voluntarily). The FDA also warned and fined about 1,300 retailers for allegedly selling e-cigarette products to minors. Most recently, the FDA announced its plans to introduce stringent regulations on the e-cigarette market. 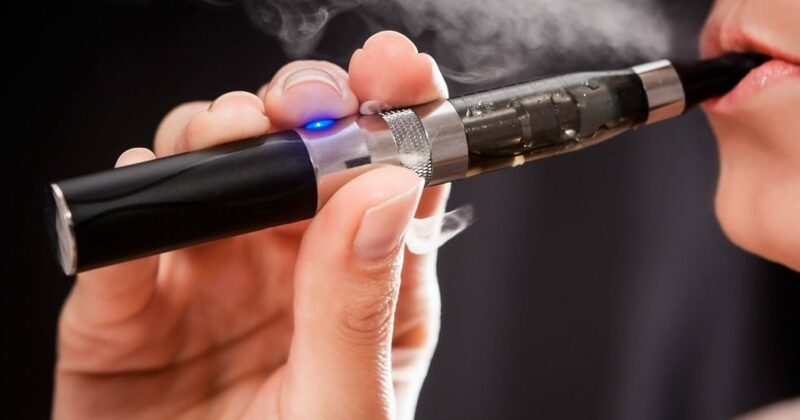 Among these regulations are banning many flavored e-juices, banning convenience stores from selling e-cigarettes, and requiring age-verification for online e-cigarette sales. The FDA’s swift and heavy-handed efforts have been described as a “historic crackdown.” But are such actions necessary? And will they prevent teen vaping? First, as I have noted in a previous blog post, likening current teen vaping rates to an epidemic is highly suspect. The most current data available only demonstrates teen vaping rates have increased during the spring of 2018. However, teen smoking rates for all nicotine and tobacco products have been in decline since 2011, making recent increases a brief deviation from a longer-standing trend of decreased smoking rates for teens. More importantly, many have failed to consider the serious harm proposed regulatory efforts are likely to inflict. Regulations placed on vices, even when they are well-intended, consistently work to exacerbate already difficult situations. FDA actions to prevent e-cigarette sales to teens are no exception. Medical research and countless personal testimonials indicate that using e-cigarettes provides an effective way to quit smoking tobacco products, which are more harmful than e-cigarettes. When access to e-cigarettes is curtailed through regulation, e-cigarette users will likely consume more tobacco products. Further, tobacco product users are denied a healthier alternative as well as a reliable method to help them quit smoking. Similar deleterious consequences have occurred when government attempts to regulate other vices. Efforts to deter prescription opioid addiction give patients an incentive to seek illicit alternatives (such as heroin). To combat obesity, some policymakers call for taxing fast food meals. But an article published in the Journal of Health Economics finds that taxing fast food results in overindulgence of fatty foods at home, working to increase obesity rates. The ambitious efforts and tremendous resources devoted to fighting the War on Drugs have caused serious damage to American race relations and have significantly contributed to the prison overpopulation problem. In each of these cases, well-intended regulation yielded harmful unintended consequences. Although there are no perfect solutions to mitigate the harm caused by vices (including vaping), it is clear that regulating them is a step in the wrong direction. The FDA is heading in this direction, and this might lead to a real epidemic.